Remember the days of paper based time tracking? Good thing those days are gone because adding up all of those timesheets takes lots of time! Just in case you ever need to track time on paper, here are links to a few PDFs I’ve seen that you can print and use. They are all well designed so it makes it easier. Pelago Paper Timesheet — A simple Letter sized timesheet designed for accurate tracking through a single day. 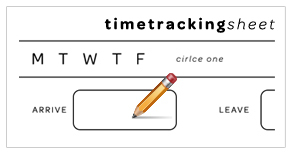 Simple Timetracking Sheet — A simple sheet designed for tracking multiple projects in a day. 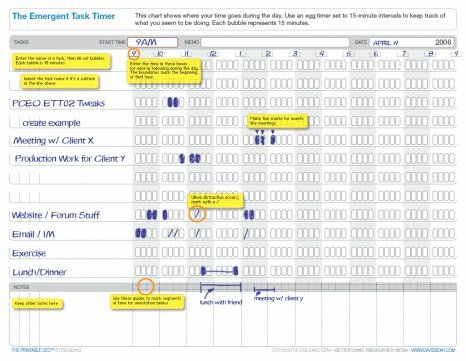 The Printable CEO™ III: Emergent Task Timing — A clever PDF you can print and use to track your time. Blue Flavor Version of Printable CEO — A variation with downloadable PDFs. LEGO Powered Time Tracking — A clever LEGO hack. Let me know if you know of any others you think I should link up. Next Next post: Cool clock!